Computing Centre is functioning as a technology provider to students, researchers and teaching community to fulfill their computational, technological, Internet requirements and facilitate a common computational resource centre for the academic programmes as well as for maintenance of the other computing resources in the university. The Campus Wide Network of the University offers facilities like Internet access, Resource sharing , E-journal access through 50 Mbps bandwidth and 1Gbps bandwidth (BSNL, NKN under NMEICT). 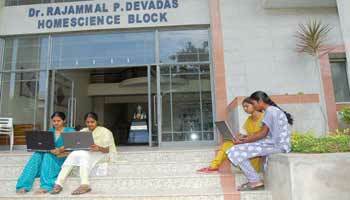 Wireless facility is provided in the campus since 2009 onwards. Students and Staff members can have seamless access to the internet anywhere in the campus. Our Institute is previleged to be the first women Institution in India to set up the Nationa Cyber Defence Research Centre (NCDRC) by signing of Memorandun Of Understanding with the NCSSS. Our Institute is previleged to be the first women Institution in India to set up the Nationa Cyber Defence Research Centre (NCDRC) by signing of Memorandun Of Understanding with the NCSSS. The MoU aims to provide skill based training, Internships and real time projects in the domain of cyber security. Wireless facility is provided in the campus since 2009 onwards. Students and Staff members can have seamless access to the internet anywhere in the campus. 45 CISCO Indoor access points and 10 CISCO Outdoor access points centrally supported by a layer 4 high end Core switch ( 4510 R-E) are used to cover the whole university . With this initiative all students and staff with laptops will be able to access Internet and Intranet services. Highly secured Wireless facility has been provided with which the users can access the internet or intranet facility anytime, anywhere inside the campus. This is made possible with a central core switch, Wireless Authentication Controller, Network Access Control, indoor and outdoor access points and with Firewalls and Antivirus Software. This is meant to be used generically with any type of 802.11/b/g/n network. All the buildings including cafeteria, hostels and playground are connected on Wi-Fi which enables students to access information easily (internet, e-journal, e-content). The main advantages of Wi-Fi are cost savings over wire line with quick, easy network access. It proves to be highly scalable and affordable, incurring minimum expenses. It provides seamless connectivity. Any application currently used on a traditional wired network can be easily deployed on a wireless network. Besides these, it is easier to administer and protects the network from uninvited users keeping information secured. Security is enhanced with powerful Firewalls and Antivirus. In the year 2017, the Campus WiFi is upgraded with 64 Sophos Indoor Access points. All the Indoor and outdoor access points are replaced with new Sophos Access points. The Upgraded Firewall Cyberoam is providing high levels of security with flexibility in wireless LANs. The appliances support 802.11a/b/g/n/ac wireless standards. They combine the features of a router and Cyberoam's complete set of network security features, offering reduced TCO ( Total Cost of Ownership) to organizations by eliminating the need of AAA server, Network Access Control server, WCS Sever. eCampus automates the day to day administrative and academic processes and streamlines the flow of information which ensures smooth functioning of an institutional activities. This solution is beneficial to all stake holders of an institution including Management, students, faculty and parents. eCampus application is developed in LAMPP(Linux, Apache, MYSQL, Perl and PHP) and implemented in the year 2012.The e-campus, the e-governance software has various modules. Students module facilitates the students to know their attendance, marks secured, overall performance , fee details, etc. Staff module has provisions to mark attendance , to enter the marks, to update their individual profile . Several modules like Admission module , Exam module, Project module, Hostel Module also form the part of e-governance software . Video Conferencing between the main campus and satellite campus are regularly conducted. Hi-tech Seminar hall is used for video conference and experts on various domains give their speech through video conferencing on regular basis. Government meetings (MHRD & UGC) are conducted through this facility using NKN. Development, maintenance and regular updations of the university website www.avinuty.ac.in and intranet www.adu.edu. Coordinating the overall admission process. Provides Computing facility to Research Scholars, Teaching and Non-Teaching Staff and Project students. Offers training programmes for Teaching and Non-Teaching staff on latest Computer technologies. Provides Wi-Fi Connections and maintenance for Staff & Students. Conducts online entrance test for Admission of PG students from other states and Computer Based Test for UG Students. 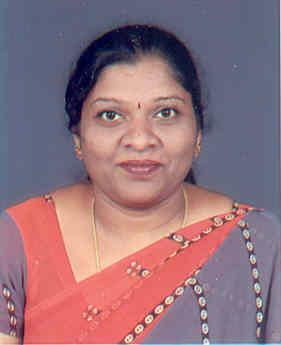 DST Funded project under CURIE worth 60 Lakhs. All departments are connected on WiFi. Easy access of information (Internet, e-journal,e-content) anywhere, anytime. Easy, quick and secure access to visitors. UGC sponsored project worth 40 Lakhs. 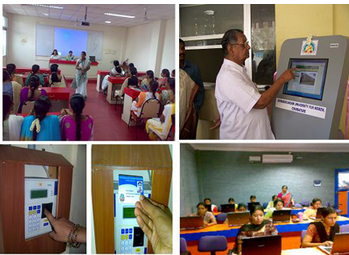 Biometric attendance system for Teaching and Non-Teaching Staff. Smart Cards for Staff and Students. Setting Up of a e-Class room. Wireless zones in Administrative office. Auditorium equipped with dome camera. Information outlet (KIOSK) in the campus. UGC Sponsored project worth Rs. 23 Lakhs. Upgradation of campus Network and optimisation. Centralisation of Database with backup solution. Authentication and security for the existing database . UGC Sponsored project worth 32 Lakhs. 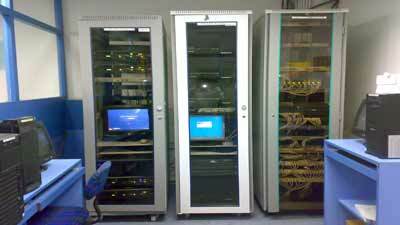 Itanium servers, SAN storage and Wireless access points employed. LMS Application developed in Java with Mysql on LINUX platform. e-Content developed and uploaded for 35 subject.